Whenever I have plans of traveling, I always end up shopping for pretty new things. Whether it’s a new bikini, sandals or a new scarf, it surely doesn’t hurt to be prepared. Plus you know that feeling of wearing something new and being photographed in it while you’re standing in totally different location you haven’t been before – gives me such fleeting feeling of joy. 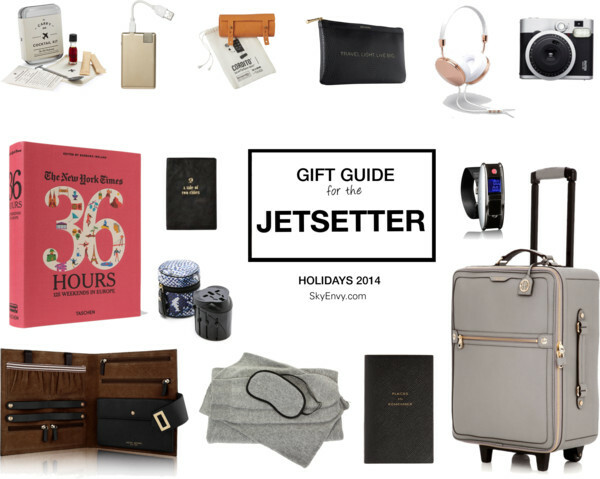 Here, for the first time ever, I’m sharing a gift guide for the female jetsetter. Some of the products below are in my actual wish list. A new camera, rose gold headphones, cashmere wrap and new luggage are just on the top of my list. And a carry-on cocktail kit? Why not? And because the Holiday Season is here, I’m giving away a copy of New York Times 36 Hours: 125 Weekends in Europe. I have a personal copy myself. I liked it so much, I’m giving one away. To enter, just follow the Rafflecopter instructions. Be sure to read the Terms and Conditions. Good luck!